Going back to school is always a little bittersweet. It partially means trading in sunny weather and days on the river for sitting in classes listening to lectures while longingly staring out the window at the bluebird sky. But it also means rainless fall weather, winter’s approach (yay skiing! ), Halloween, new classes, new friends, the start of another awesome year with your outing club, and, best of all, pre-orientation programs. Here, you fearless leaders can introduce incoming students to the radness of your school and outing clubs through adventures of all sorts, from canoeing to climbing to backpacking. What better way to kick off a year? All of these excursions are an absolute blast, but like any outdoor adventure (if not definitely moreso), pre-orientation programs take a lot of planning and a lot of gear. Coordinating trips with hoards of eager, wide-eyed freshman who have various ranges of outdoor skills can be daunting to say the least. So, we’re here to make at least one part of this job easier: finding the right gear. Gear needed for these trips varies according to what you’ll be using it for. A three billion mile backpack, for example, calls for lighter, top-of-the-line gear, while a two day base-camp trip in a campground might only ask for more basics. So, we’ve broken the best of the best gear down into categories, meeting every leader’s needs as they stock up their gear reserves for the coming pre-orientation season. For: The leader of that three billion mile backpacking trip. Why you need it: This is the supremely comfortable, technologically advanced, leader-worthy pack you’ve been looking for. Voted number two on the list of Switchback Travel’s Best Backpacking Packs of 2017 and number three on Outdoor Gearlab’s The Best Backpacking Packs of 2017, this pack gets raving reviews as a sturdy, durable pack: Switchback calls it “our go-to pack for when we need to carry serious weight.” And as a trip leader on a massive expedition, I’m sure you’ll be burdened with some serious weight. 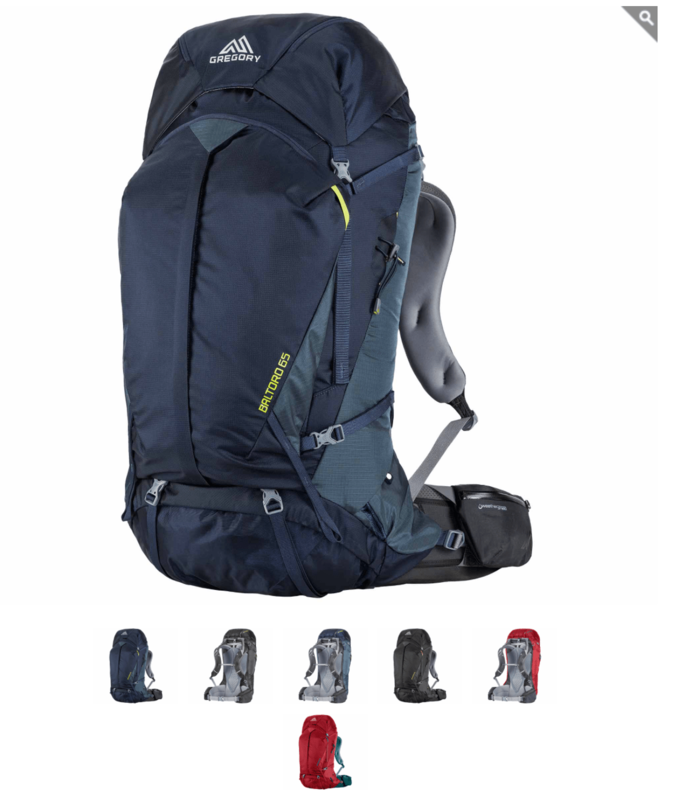 Technology on this pack includes a SideKick ultra-light removable daypack, strong suspension, top-loading design with front U-zip panel access, and firm but supportive padding. To sum it up: A durable, comfortable backpack for the backpacking extraordinaire leader with places to go and a lot to carry. For: Group use in your rental shop. Why you need it: When you’re looking for a pack that anyone can grab off the shelf for any trip, you want something easily adjustable so it can fit everyone, durable so it can outlast its many users, and overall reliable as a great pack so people enjoy their trekk. And something cheap. Well here it is, that dream pack. Outdoor Prolink’s Dirtbag Dreams says adjusting it is “straightforward with a Velcro system to adjust the torso length and adjustable straps to tighten or loosen the shoulder and waist straps.” The Apex also emphasizes durability with CORDURA® fabric and a heavy duty yet lightweight aluminum suspension. Plus, if all that still can’t withstand the rental shop beating, Mountainsmith offers a lifetime warranty on their products. And to top it off, it won’t break the bank. So start ordering. To sum it up: Truly the “apex” of your rental shop gear, this pack hits all the points: durable, easy adjustment, perfect price point, weight, and so much more. For: Anyone who doesn’t want unhappy campers. What you need: A rainproof pack cover that fits your pack, whether that’s Mountainsmith or Gregory Packs or others. Why you need it: No one likes soggy sleeping bags or soggy crackers or soggy clothes or soggy anything for that matter. When everything is soggy, everyone is sad. You don’t want everyone to be sad. To sum it up: Get some. For: Everyone to sleep safe and sound. Why you need it: Durability is key, and one of the first things The-House.com’s review of this bag mentions is it’s rip-stop exterior shell. But it doesn’t stop here; with other great features like the soft touch polyester lining, Pyrotec™ polyester-microfibre insulation, easy packability, and more, this bag is very high quality for it’s relatively cheap price tag. The Ignition comes in different versions varying with temperature ratings, so you can pick your level of warmth based on your pre-orientation location: Ignition 2 (32 degrees), Ignition 3 (26 degree), and Ignition 4 (19 degree). To sum it up: The Ignition’s features scream (or softly snore?) durability and comfort, plus you’ll save some big bucks. Stocking the gear house with these babies will leave your attendees sleeping like babies, which is the whole point right? For: The “I don’t care how cold it is, let’s camp anyways” leader. 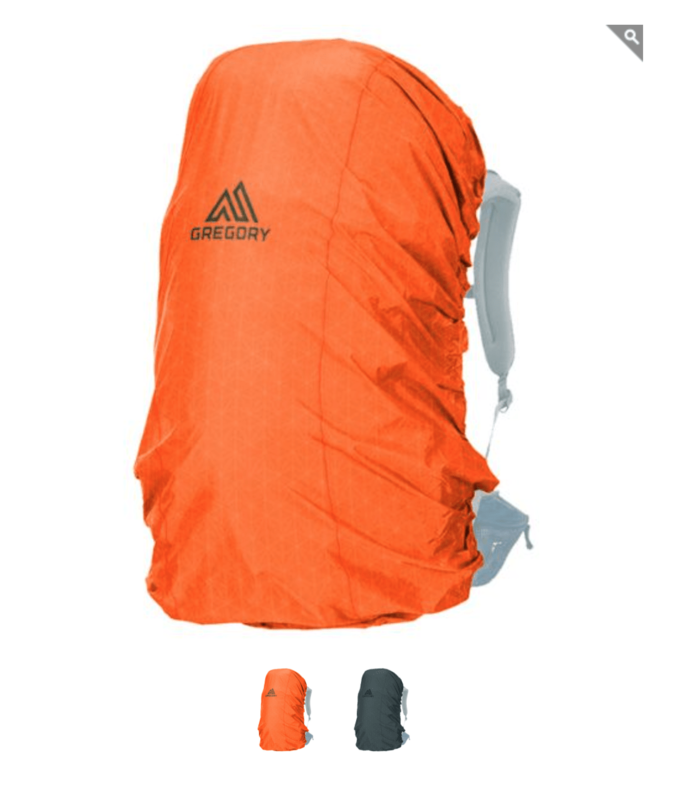 Why you need it: The Ascent series comes with several different bags categorized by warmth: Ascent 300 (35 degree), Ascent 500 (24 degree), ascent 700 (17 degree), and Ascent 900 (0 degree). So basically, you could camp in Antarctica with these puppies. Coupled with hydrophobic down, you can take your group on any expedition in any weather, and while they may hate you during the day as you trek through blizzards and pouring rain, they’ll be snug as a bug in a rug all night long. Other features include the highly durable Pertex® Microlight inner and outer fabric so it can take a beating in the gear shop, a rectangular shape so your feet don’t get so claustrophobic they die, and a two pound trail weight for lightweight backpacking. To sum it up: These bags will let you get the most extreme on your pre-orientation trip, and will perform beautifully with their durability, weight, hydrophobic down, and shape. Why you need it: Making everything as small as humanly possible is key to backpacking. 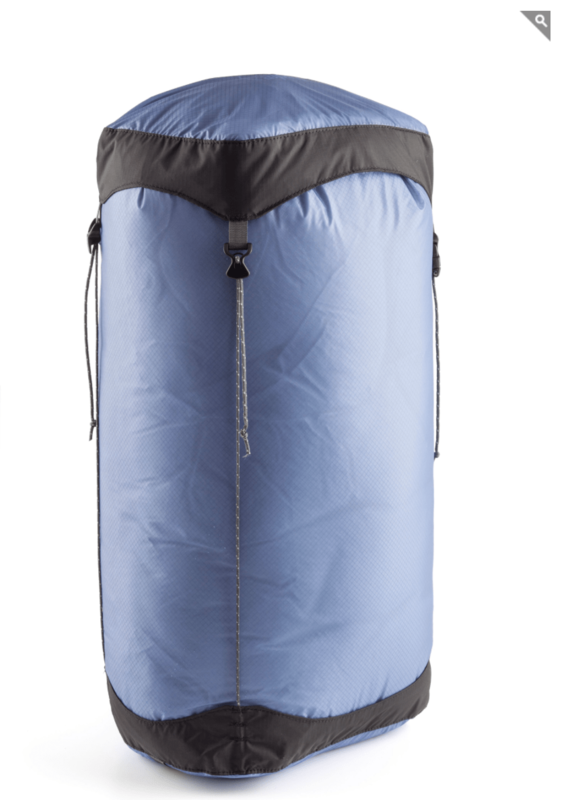 Without stuff sacks, sleeping bags can take up the entire pack and kick out everything else you might need to survive a trip. Stuff sacks are great for clothes bags too! And food! To sum it up: Put everything you bring in stuff sacks. For: The lightweight (in a good way). Why you need it: Most of the extreme backpackers I know sacrifice comfort for ultralite pads by cutting one of those foam z-pads down so it only fits under their shoulders and hips. I’m not about the sacrifice, and now you lightweights don’t have to be either! 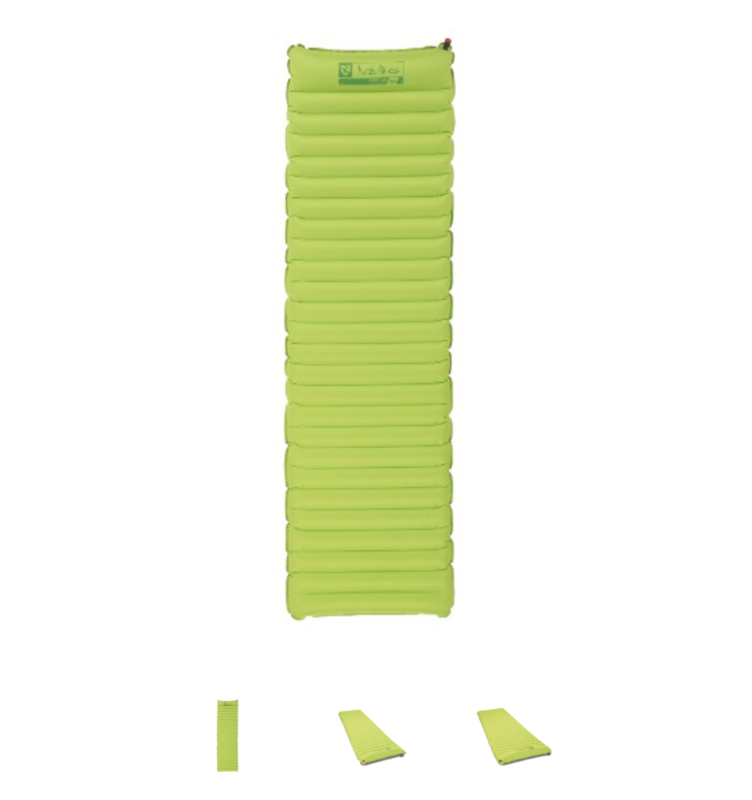 The Tensor combines NEMO’s lightest weight fabrics with low-stretch panels to create a sleeping pad that is both light, and comfortable. Truly a miracle. The Tensor is also extremely durable, as put to the test by Gear Junkie, well insulated, and packs small, making it the ideal pad for many backpacking trips as the inspiringly uber-light leader. 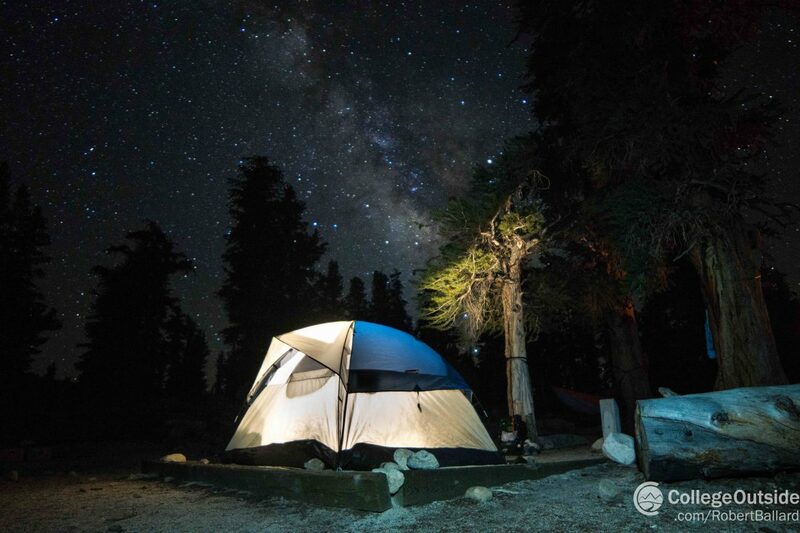 To sum it up: This lightweight, sturdy, comfortable pad will leave everyone happy while they’re on the trail and while they’re sound asleep on some lumpy ground you chose to camp on. For: The backpacking newbies you’ll undoubtedly be guiding. Why you need it: This pad is thick and well insulated, so anyone who’s hesitant about sleeping on lumpy ground in the cold will be more than happy to bring the Astro along. 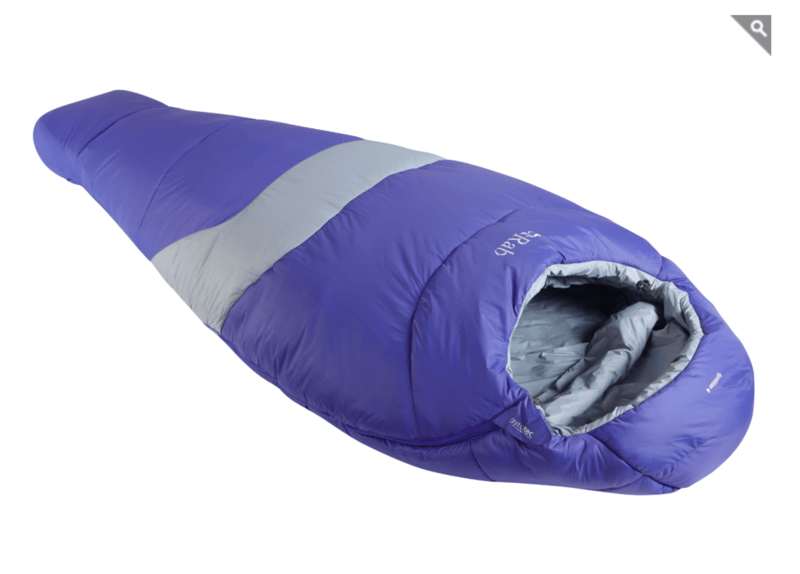 While OutdoorGearLab says it might be on the heavier side, most of the people renting this pad won’t know the difference, or will be willing to sacrifice for the other perks, like the built in pillow and comfortable horizontal baffles. Plus, the pad is very affordable, so stock up and start renting. To sum it up: For a backpacking newb, features like the comfort, insulation, and thickness will make this pad very popular in the rental shop. For: The even lighterweight leaders. Why you need it: Knocking off weight in some areas can be easy, like only bringing one pair of clothes; you might stink but hey, you saved a few ounces. But tents often present a bigger weight issue. So a tent like the Blaze is a rare find, and definitely a necessity for long expeditions. A two person tent is perfect to share between two pre-orientation leaders, and splitting the two pound five ounce weight between your packs sure will be a treat on the trail. The tent is also great at camp, as it’s livability space is one of its biggest boasting points. The Blaze 2p is the only tent in its weight class with two doors and two vestibules. To sum it up: Leaders need the lightest tents so they can look the most pro as they bounce up the trail as if the pack on their back doesn’t exist. Leaders also need a good night’s sleep. The Blaze 2P does both. Why you need it: There is no better deal on a two person tent than College Outside’s current promo on this tent! 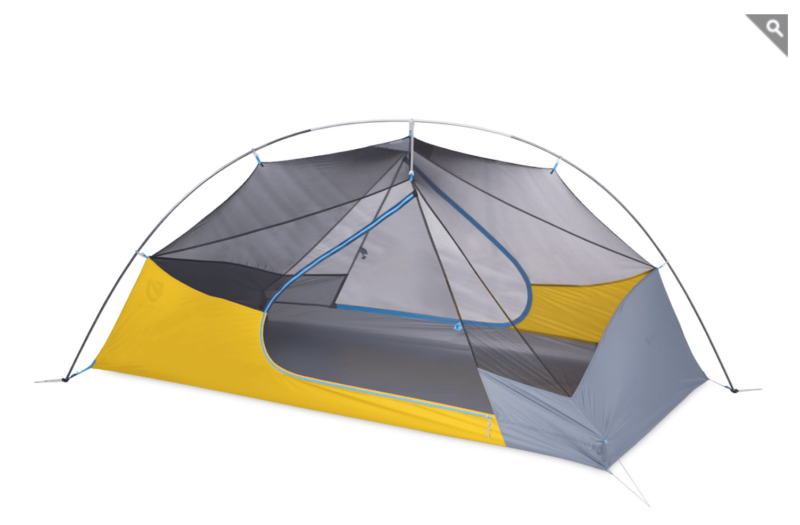 For a group order of five or more tents, grab these bad boys for $140 each. Save money, live in luxury every night with tons of livable space and shoulder room, and stay warm and dry in any condition. The Limelight may be on the heavier side, but is a perfect tent for any pre-orientation camping trip. To sum it up: Get them fast and get them cheap! You won’t be disappointed with their performance. For: Everyone renting gear to fight over. Why you need it: This super affordable, sturdy four person is a perfect addition to your rental gear shop. The tent is versatile: roomy enough to be used car camping and light enough to pack into the backcountry. The Beer Creek is very easy to set up, has best-in-class water proof coatings, and a handy rear panel closet door and storage vestibule. To sum it up: This is a super reliable, user-friendly, cheap option to stock up on for rental purposes. With it’s many uses and many perks, the Beer Creek is the perfect option for attendees of pre-orientation trips. For: Leaders who want everyone on their trips to live. Why you need it: A Colgate pre-orientation leader found that people never seem to have a good water bottle, or one that they want to take on a trip. But water is the #1 thing you need on any adventure! 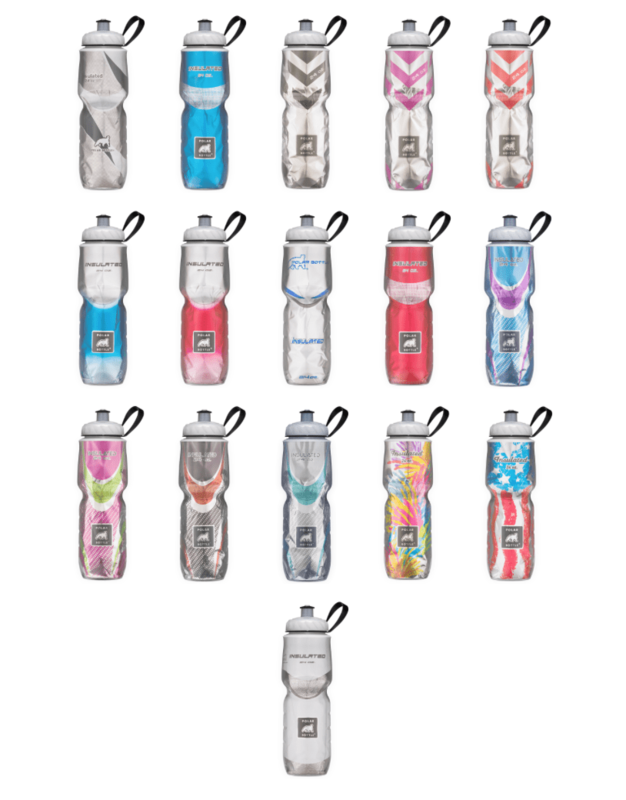 Keep your crew safe by insuring there’s enough water bottles for everyone, plus there’s so many color options so you can all look cool while you’re staying hydrated. To sum it up: Don’t let your people be thirsty.